Caspian Sea status. What will it bring to Azerbaijan? 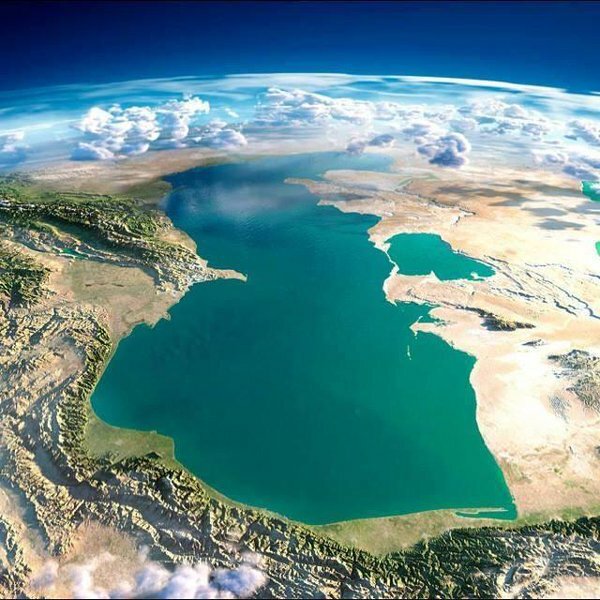 The clock is ticking and the signing of the long-awaited document on the legal status of the Caspian Sea is drawing closer, as the five parties agreed to meet in the Kazakh port of Aktau on August 12 to finally decide on how energy-rich basin’s resources will be divided. Earlier, Caspian countries have made a groundbreaking commitment to evaluate the likely impact that development projects will have on the environment in each other’s states. Impacts on human health, fauna, water and soil are among factors to be accounted for when installing oil refineries, building major power plants or undertaking major deforestation. High-level representatives from Azerbaijan, Iran, Kazakhstan, Russia and Turkmenistan signed the Environment Impact Assessment Protocol under the Tehran Convention on July 20. Russia, which wanted to maintain its role as the only gas supplier to Europe, and Iran, with its own regional and economical interests, have so far opposed the construction of underwater pipelines in the Caspian Sea, citing environmental issues and saying that construction projects need the consent of all five countries. Both, Azerbaijan and Turkmenistan have continuously voiced the view that pipeline construction under water should be regulated by only the countries through whose sea sectors it passes. According to Article 14 of the draft Caspian Sea Convention to be signed at the five-nation summit, this will become a reality after long years of negotiations. The determination of the long-debated legal status will bring Turkmenistan one step closer to its gas reaching the ‘old continent’. Such energy export initiative as the proposed Trans-Caspian Pipeline from Turkmenistan to Azerbaijan that would bring Turkmen gas to European markets now gains a clearer outline. Turkmenistan’s recoverable reserves are estimated at 17.5 trillion cubic meters of gas or nine percent of total global reserves, which puts Turkmenistan fourth, after Iran, Russia and Qatar. The European Union adopted a mandate in 2011 to negotiate a legally binding treaty between the EU, Azerbaijan and Turkmenistan to build a Trans Caspian Pipeline System. This was the first time that the European Union proposed a treaty in support of an infrastructure project. The Trans Caspian Pipeline agreement will set the basis for the construction of a submarine pipeline connecting Turkmenistan to Azerbaijan, and in turn link this pipeline to infrastructure that will bring gas from Central Asia to the EU. Therefore, closer cooperation between Azerbaijan, who has already launched its gas supplies via Southern Gas Corridor, and Turkmenistan, set to bring financial benefits to both sides, is guaranteed. Kazakhstan‘s section of the Caspian Sea contains most of the basin’s largest known oil fields, such as Tengiz, which produced 570,000 barrels of oil per day last year, and Kashagan with 13 billion barrels of estimated oil reserves. The Central Asian nation is keen to diversify its export markets, which currently include only Russia and China. Azerbaijan will become a key transit hub for Kazakhstan as well. The two nations which previously had serious disagreements over delimitation of the sea and energy cooperation will likely jointly make use of Caspian Sea’s resources. The cooperation on the Araz-Alov-Sharg oil block has long been the main sticking point between the sides, as both Iran and Azerbaijan have differences over its ownership. The development of the block is frozen until the Caspian Sea status is agreed upon between Azerbaijan and Iran. Now, positive developments should be expected in this regard as well. Thus, Azerbaijan will gain huge benefits as a transit country when oil is exported from Central Asian nations and get access to another oil block in the Caspian Sea, while strengthening relations with Iran, Kazakhstan and Turkmenistan. The issue of determining the legal status of the Caspian Sea became relevant after the collapse of the USSR, when the emergence of new subjects of international law - Azerbaijan, Kazakhstan and Turkmenistan - raised the issue of delimitation of the sea between the five littoral countries. The leaders of the five countries met for the first time in 2002 in Ashgabat. The second Caspian summit was held in Tehran in 2007, the third one in Baku in 2010, and the fourth summit – in Astrakhan in 2014. The fifth one, set to take place on August 12, will change the future of the region and bring prosperity and peace to it.